Elder Neil L. Andersen was born on August 9, 1951, in Logan, Utah, and grew up in Pocatello, Idaho, on a dairy farm. He was called to be a member of the First Quorum of the Seventy in 1993 and was called to the Quorum of the Twelve Apostles in 2009. He married Kathy Williams in 1975, and they are the parents of four children. Here are some of our favorite pictures to celebrate this beloved apostle. Elder Andersen's childhood picture. Image from Deseret News. Elder Andersen and his family. Image from Deseret News. Elder Andersen as a young man. Image from Deseret News. Elder Andersen served as a missionary in France. He worked until he wore holes through the soles of his shoes. 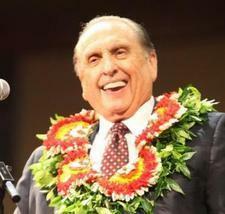 Image from lds.org.